This post informs all the PayPal users in India regarding the change in the policies due to the implementation of the GST (Goods and Services tax) in India since July 1, 2017. The PayPal has updated their policies to comply with the Indian tax laws and moreover with the GST rates. 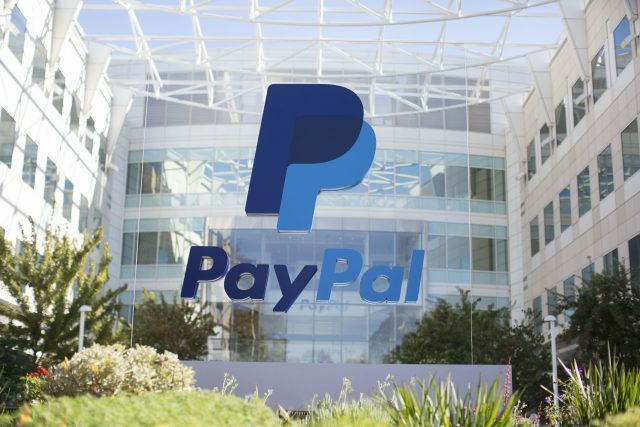 The company has issued a notice that it would be levying 18% GST on the PayPal services (which applies to the transaction cost and not the entire amount). But hold on, the 18% charged would not be on the total amount transacted but only a small fee that the PayPal charges on the transaction. There have been a lot of rumors and false news circulating that 18% taxes would be levied on the total amount that one receives through PayPal. Please be advised the 18% GST (Goods and Services tax) is only applicable on the small fee that is charged by PayPal as the transaction cost and not on the whole amount one would receive or the purchase price. This is only applicable to the account holders who hold an account with PayPal India services. The new law would be effective from 2nd October 2017, and the person who has the account with PayPal would then have an account with PayPal Payments Private Limited, a company incorporated in India with CIN U74990MH2009PTC194653. Let us consider there are two entities Mr. Anuj and Mr. Rahul. Mr. Rahul is supposed to pay Mr. Anuj for all the odd jobs that he performs as a freelancer. So now let us say Mr. Rahul transfers $1000 to Mr. Anuj as the transaction amount through PayPal for the services. As we know, the PayPal fee is (4.4%+$0.30), i.e., the PayPal charges (4.4%+$0.30) as the transaction fee, so that amounts to $44.30 for $1000. Hence, now, Mr. Anuj is supposed to pay 18% on the fee charged by PayPal, i.e., 18% of $44.30, which amounts to $7.974. There have been confusions that the person has to pay 18% GST on the total amount. This is not the case Mr. Anuj is not supposed to 18% GST on $1000, but rather he is only supposed to pay 18% on $44.30. Also since the transactions are international transactions, one would easily be able to file for ITC (input tax credit) as he would be an eligible exporter and thus can claim returns on the GST. Hence 18% GST is only on the transaction charge (fee) and not on the entire transaction amount. To make life easier we have made a small table for you. Hope this helps and ends the confusion. So it’s just $7.974 (amount of GST) that you would have to pay from 2nd October 2017 in case you receive $1000 for your services. Keep working freelancers and sleep over the confusion. Breathe easy!